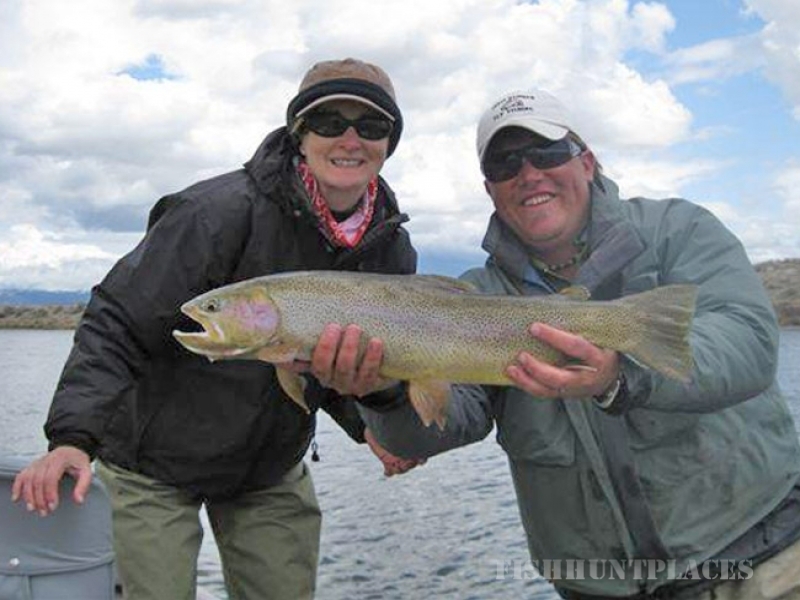 Along with the panoramic views, amazing wild trout fisheries, and no crowds, Crazy Rainbow has unique advantages compared to most fly fishing outfitters in the area. 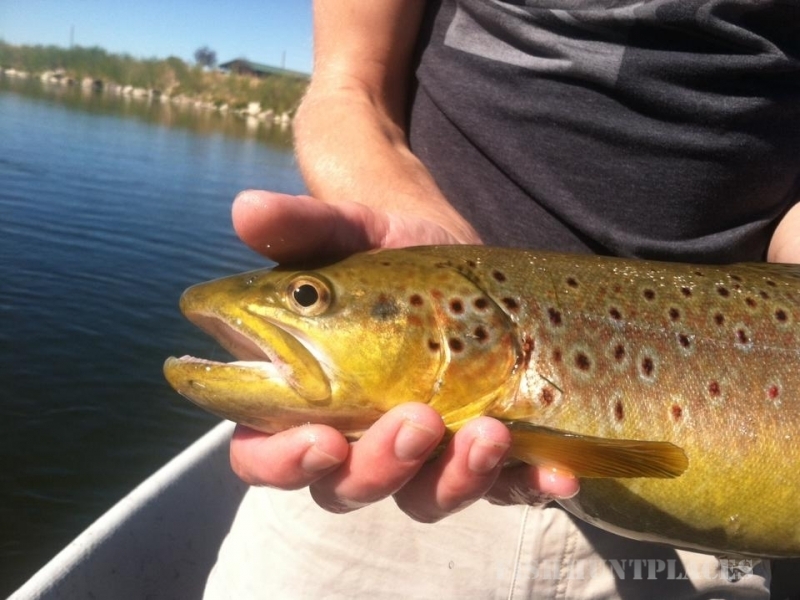 Due to land ownership laws, stream fishing in Wyoming is different from some of our neighbor states. In Wyoming, the land owner owns the stream bottom and public wade fishing, or boat anchoring, adjacent to private land is not allowed. Crazy Rainbow owns private lands along eight miles of the North Platte just below the Grey Reef Dam. 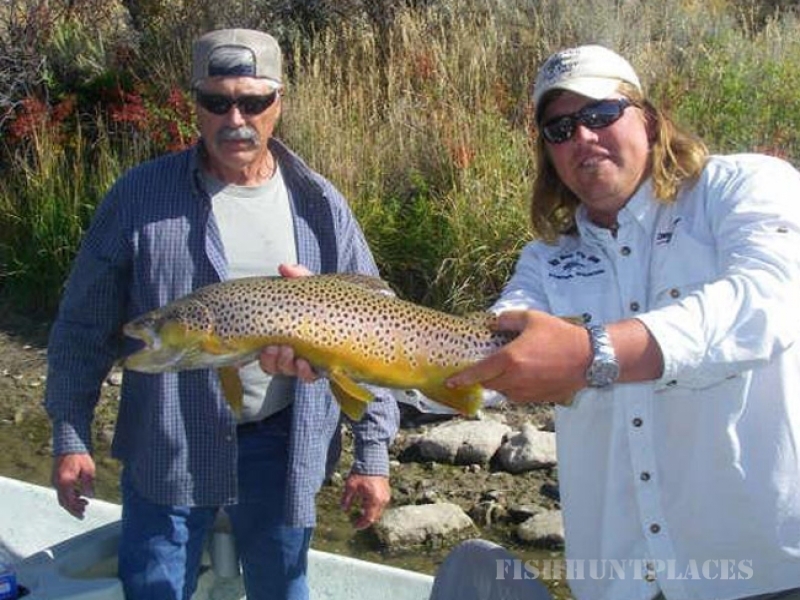 The Grey Reef tailwaters are well known for their excellent trout habitat and production of trophy fish. The high quality natural resources, combined with Crazy Rainbow’s private access, results in unsurpassed fly fishing opportunities. 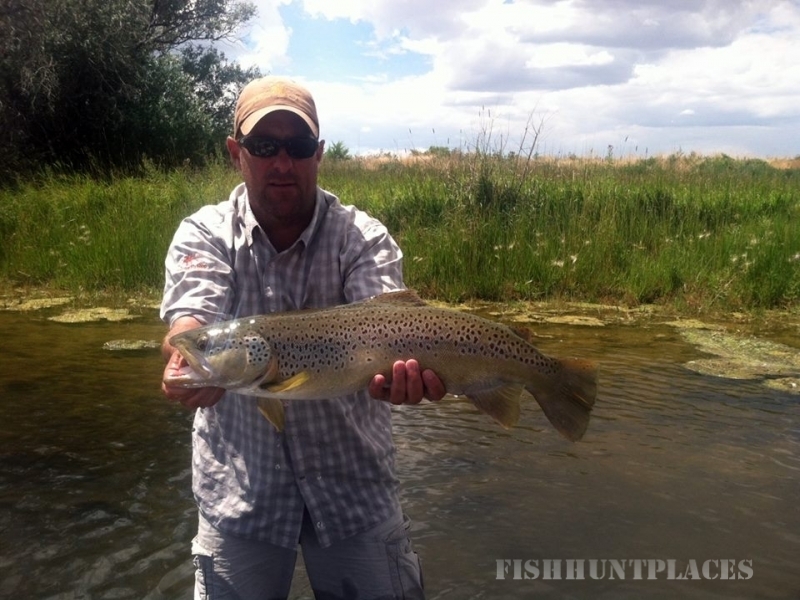 Crazy Rainbow’s private access means you can wade fish all you like. It also means your vacation will feel like a vacation. You’ll likely be the first boat out every morning, enjoying the solitude, clean air, and spectacular surroundings. 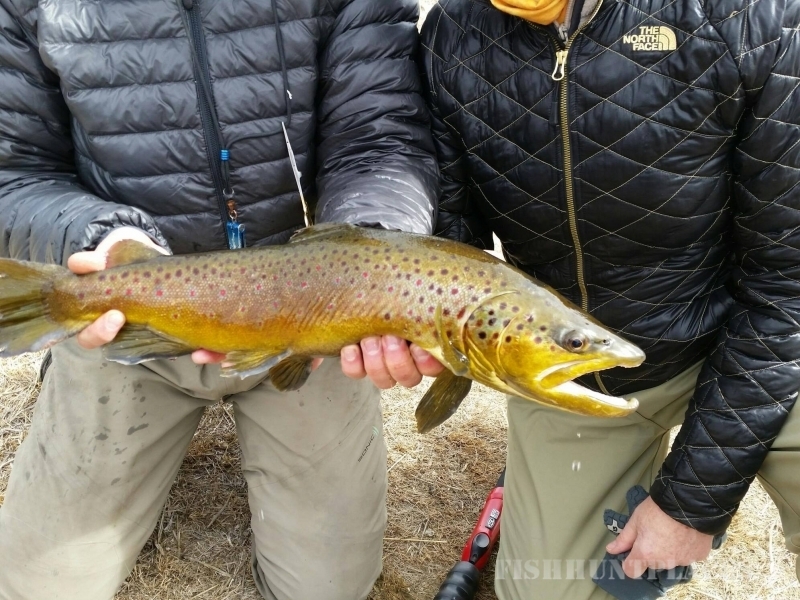 Expert guides will be getting you to the best fishing spots, you’ll enjoy streamside meals cooked over an open-fire, have the use of eight private boat ramps, and private restroom facilities. Crazy Rainbow’s land holdings also offer unique advantages when you’re not on the river. 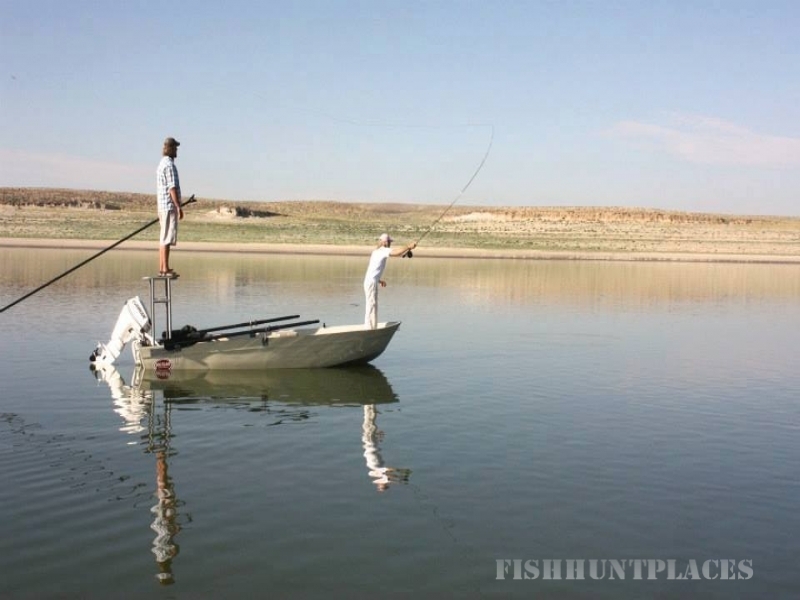 Our first rate fly fishing Lodge and River Cabin are situated right on the banks of the North Platte. The setting is quiet and private. You will feel right at home with an evening campfire beside the river, or some last minute fishing as the sun sets. Our Lodge and River Cabin accommodations are suited to family or group outings and corporate retreats. Guests are provided a hearty continental breakfast and evening meals are available as ordered. The lodgings are convenient for corporate leadership teams, and the conference room, internet service, and easy accessibility by auto or air means you can integrate down time with staff projects and team building.